A cold Tuesday evening in Manchester turned out to be the site of the most exciting Champions League Round thus far. City came into the match with low morale after an embarrassing 0-0 draw to non-league Huddersfield Town in the Football Association Challenge Cup. A pathetic draw for City, when you consider their team transfer market to be $525 million compared to Huddersfield Town’s $19 million. Monaco on the other hand came into the match in a great run of form, and while leading Ligue 1. Radamel Falcao has had a complete turnaround since coming to France, after a rough couple of years in England between Chelsea and Manchester United. Everything changed in the 26th minute when Raheem Sterling scored off a cross from youngster Leroy Sane. Not long after City took the lead when Falcao and Mbappe scored within eight minutes of each other to take a 2-1 and silence the English fans. The turning point in the match came right after the half when Radamel Falcao stepped up the penalty spot and missed his spot kick. Willy Caballero, who is Manchester City’s reserve keeper, waved his hands in excitement to pump up the crowd after the save. The whole tide turned and it had looked as though City were injected with immediate life. City bossed the rest of the match even though Falcao was able to score just 10 minutes after his penalty was saved. Sergio Aguero lived up to his status as one of the world’s best strikers when he scored a beautiful volley of a corner kick in the 71st minute. John Stones would also score off a corner kick before the final dagger, which was put in by Leroy Sane in the 82nd minute. “That is why they wanted me to come here – I love to play in that way, I think it is something special when two teams play in that way, attack and attack. In the end the football is marvellous,” Guardiola noted. City isn’t exactly out of the woods just yet, as they still have to play a second leg of the Cup tie in Monaco on Mar. 15 against a talented, hungry opponent. 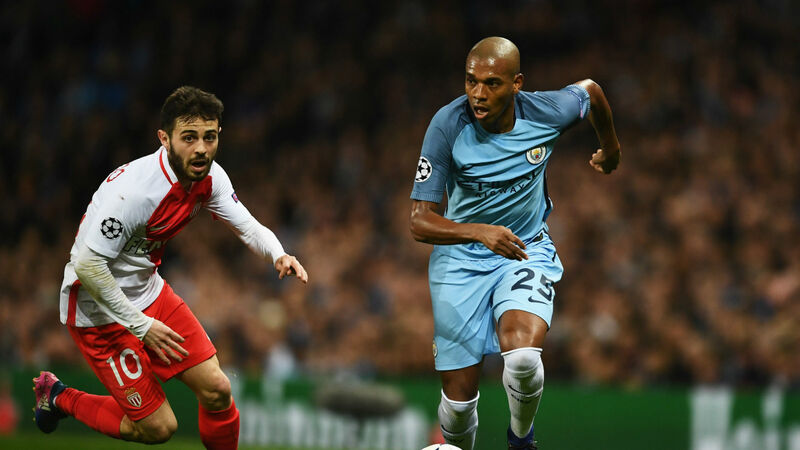 Monaco will not sit back in the upcoming game either, and are hoping for more of the same success as well as expanding upon Tuesday’s lone goal. Suring things up at the back could make for an exhilarating second leg in a couple weeks’ time.